My Bookkeeper is here to help you maximize your efficiency by becoming your partner in financial management. With monthly reporting, annual meetings, and phone and email access, you’re never out of the loop. With packages starting at $175 per month, we have options for every business and every budget. 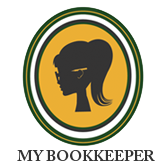 Welcome to My Bookkeeper: Your Answer for Simplified, Outsourced Bookkeeping. Business owners have a lot of things to worry about. The state of their books shouldn’t be one of them. With My Bookkeeper, we’ll attend to everything from tax filing to bank account reconciliation to year-end 1099s, so you can focus on what you really care about: growing your business. See some of the companies My Bookkeeper has helped succeed—and what they have to say about it. The latest news and insights from My Bookkeeper and the world of finance. Bookkeeping service packages designed to fit your business and budget.